Mailbox passwords can be changed from the following link. 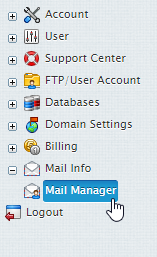 Navigate to Mail Info > Mail Manager. Select the domain you wish to create a mailbox for. Select the Edit Mailbox icon next to the mailbox you wish to change the password for. Within the Mailbox section, input the new password. Press Submit at the bottom of the page.